This session is one of the most precious sessions that can be created! From classic poses to themed backgrounds we can create whatever you are looking for. To receive the best possible ‘newb.orn’ posing your baby should be 3-7 days old. This session allows the time to capture multiple different sets and ideas. You get to explore the never ending possibilities of our ‘grown-up’ studio that is one of the biggest in SW Washington. Bring your imagination and we’ll bring ours. This session geared towards the fast-paced families that don’t want to miss out on those special milestone but don’t need the frills. One outfit, one background. This session is created in our studio. 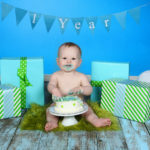 Pick your favorite color for your cake and we’ll create the cutest birthday photo’s ever! For all families alike…immediate or extended. Includes different backgrounds and minor wardrobe changes. 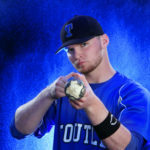 All groupings are photographed from full family, individual families, couples, etc. 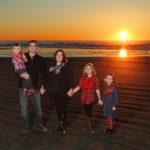 Traditional family posing, lifestyle and intimate interactive family posing will be captured. A session for two in our studio, we always welcome multiple clothing options so the variety of portraits to choose from is vast. 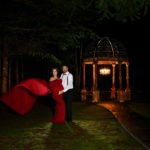 We will photograph in traditional and contemporary settings. You might fall in love with the final product of a style you weren’t necessarily looking for originally, so we always provide options. Nature is your background. Have your portrait taken near a lake, in your home, choose a destination local or out of town (session fees will be adjusted accordingly). 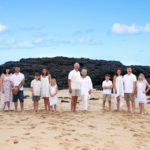 Couples, families and extended families are all welcome for this type of session. Created by Master Photographer, Don Cianci, these sessions take your family from ordinary to extraordinary. 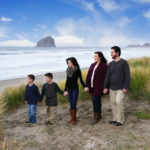 Go into the beauty of the Pacific Northwest and create one-of-a-kind portraits that shows the pride of your family. From Multnomah Falls to the Coast to Mt. St. Helens, these sessions create wonderful masterpieces that will be an heirloom for generations to come. Included is a movie DVD of your session for a distinctive presentation! $500 minimum purchase when choosing the Master Pictorial Session. The Mother-to-be will be the focus of the session. Session includes a consultation to go over the clothing options and posing. The gift of a child creates one of the most precious bonds the people will ever share. 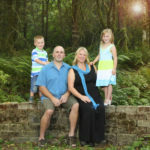 This session includes additional family members and your imagination is the limit. Whether it’s creative idea or a traditional tummy pose, we will capture it all! 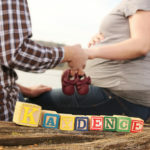 The same as the Maternity Session but created outdoors in our local area! Pick your favorite location or choose one our private locations. The gift of a child creates one of the most precious bonds the people will ever share. Preserve this miracle and the true radiance and beauty of your pregnancy. 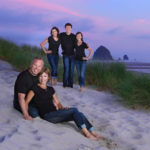 In this session, your family members and your imagination is the limit. Whether it’s colorful wraps, whimsical gowning, playful peek-a-boos with your tummy, we will capture it all! A consultation is a must so that we can put YOUR plan together! This session is created (drumroll….) OUTSIDE! We live in one of the most picturesque places in the world – 6th prettiest in the country according to Forbes. 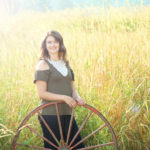 Outdoor senior portraits in our area allow for gorgeous landscapes as backgrounds no matter the season. Capture our breathtaking summers, colorful autumns, and inspiring springs in your senior portraits. Our Indoor and Outdoor Session includes – you guessed it – an indoor and an outdoor portion. Combine the formality of indoor with the beauty and artistic features of the Pacific Northwest to bring variety to your senior portraits. 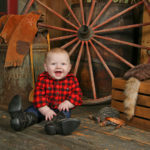 We will photograph both portions on the same day AND your outfit changes are limitless!